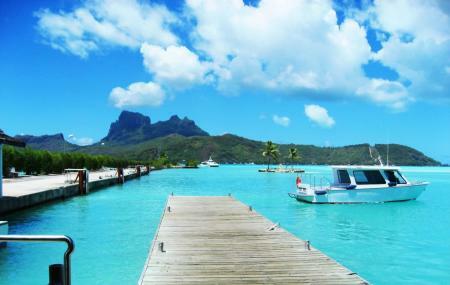 Explore this paradise island with TopDive Bora Bora and you will be overwhelmed! Offering tours to Tapu, Muri Muri (white valley), Haapiti, Teavanui pass, Toopua, The Aquarium, Ananu, Tupai (private boat only), Tupitipiti (private boat only), you can encounter abundant rich marine fauna like turtles, sharks, manta rays with TopDive Bora Bora. The tours specialise in Shark dives, Manta Ray dives, Nitrox dives and Night dives. There are also private dives with a private instructor, boat and services on Yacht. For full price list, check official website. How popular is Topdive Bora Bora? People normally club together Tupitipiti Point and Bora Bora Photo Lagoon while planning their visit to Topdive Bora Bora. People also prefer to start their day with Topdive Bora Bora.